Birko Antifoam 100 is a proprietary blend of antifoam compounds with capacity to prevent foam or kill it immediately. Birko Antifoam is unlike similar products because it works equally well in bot oil-based and water-based systems. Birko Antifoam 100 has approvals by the U.S. Department for food processing and is ideally suited for use in the brewery. To use Birko Antifoam, we suggest start with one fluid ounce per 15-20 barrels. For the kettle, add just prior to the wort coming to boil. For the fermenter, add directly to the whirlpool halfway through knockout. Packaging: Contact ATP Sale Representative for further information. Brewtan B, Brewtan C and Brewtan F are 100% natural gallotannins specially designed for the brewing industry. These tannins react with the haze sensitive proteins (proteins rich in proline) and SH-group containing proteins by adsorption and precipitation. In addition to the interaction with these proteins, the Brewtan products are able to complex iron and as a consequence inhibit the Fenton oxidation reaction. Tanal® 02 is a 100% natural gallotannin designed to have a consistent level of polymerization so that interactions between it, yeast and haze-inducing proteins in the system deliver a permanent cloud in the finished product. 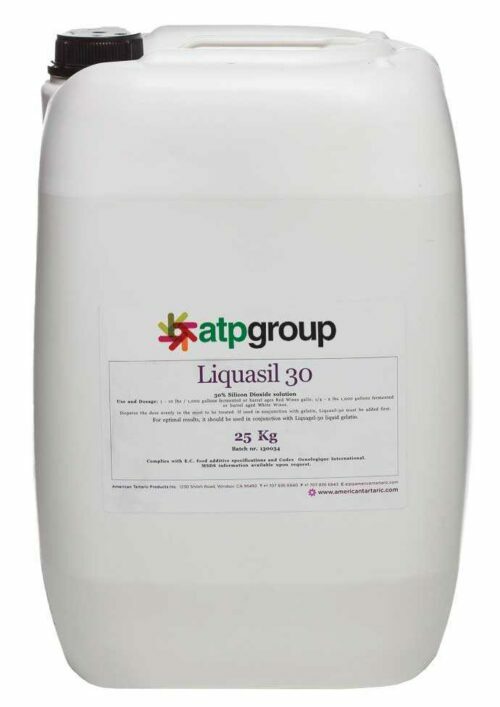 Liquasil-30 is a 30% Silicon Dioxide solution. The product is designed for clarification of wort. It can also be used in maturation to improve clarity through adsorption and sedimentation of yeast. Patco 376 is a 100% active non-silicone defoamer. Designed for use in food processing operations, Patco 376 complies with Paragraph 173.340 of Title 21 of The Code of Federal Regulations covering defoaming agents used in food processing. Patco 376 has Kosher Approval. Packaging: Contact ATP Sales Representative for further information. Polyclar 10 is a highly effective 100% PVPP beer stabilizer. It is optimized for single-use, either on its own, or in conjunction with other stabilizers. Polyclar 10 offers a very effective means of preventing non-biological haze in all types of beer. Non-biological haze formation results primarily from the hydrogen bonding between haze producing proteins and the polyphenol constituents of beer. To achieve colloidal stability, it is necessary to reduce these protein/polyphenol complexes or prevent them from forming. This can be done by reducing the problematic polyphenols, proteins or both. Polyclar Brewbrite is a highly effective proprietary wort clarifier and PVPP beer stabilizer. It is an optimized composite of purified food grade Carrageenan and specially modified PVPP. 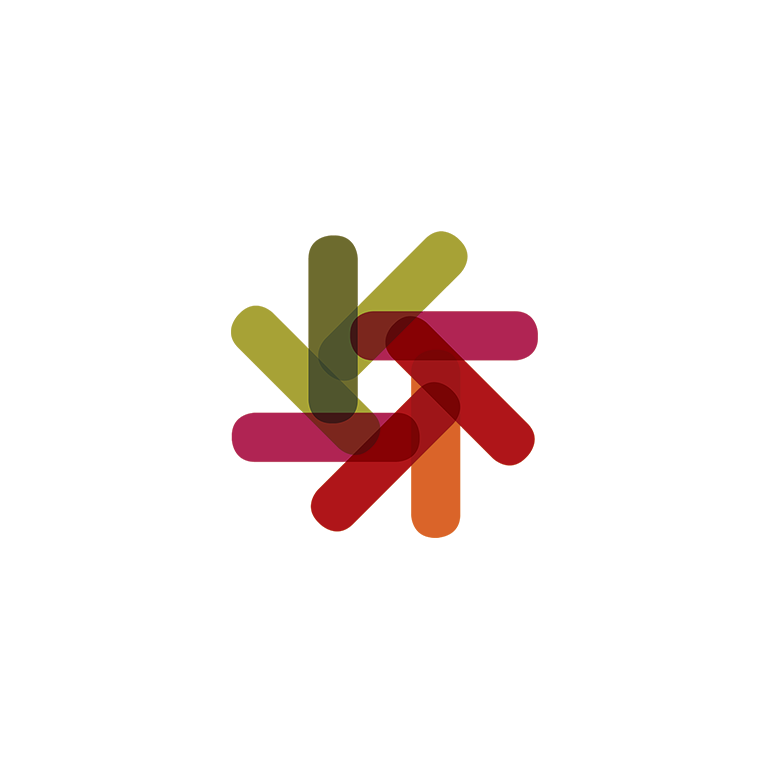 Kappa Carrageenan, a hydrocolloid extracted from red seaweed, is very effective at reducing the size of non-microbial particles in wort: these comprise protein, polyphenol, polysaccharide and other materials. To achieve colloidal stability in beer, it is necessary to reduce these protein-polyphenol complexes, or prevent them from forming. Polyclar Plus 730 beer stabilizer is an optimized blend of PVPP and silica xerogel. It is a single-use product offering a highly effective means of preventing non-biological haze in beer. The combined use of PVPP and silica xerogel provides a balanced stabilization of both haze producing constituents preventing the protein-polyphenol complexes from forming. Polyclar Super R is a very effective 100% PVPP beer stabilizer. It is optimized for regeneration use, either on its own, or in conjunction with other stabilizers, offering a highly effective means of preventing non-biological haze in all types of beer. Polyclar Super R is applicable to all types of beer and helps achieve maximum shelf life in beer. Silicon dioxide manufactured for treatment of lighter adjunct type beers. It removes specific proteins responsible for formation of chill haze. Hydrogels have a more specific adsorption for proteins typically found in adjunct beers. They have no impact on foam forming proteins, flavor or filtration throughput. Silica gels of an amorphous nature and are safe to use. Silicon dioxide manufactured for treatment of difficult to stabilize beers. It is most commonly recommended for use on all malt beers. It removes proteins responsible for formation of chill haze. Xerogels have a wide affinity for a variety of protein complexes for exceptional results. Silica gels are of an amorphous nature and safe to use. Adding silica sol to wort or beer results in the cross linkage of Si02 particles to form a hydrogel. Haze is formed, which then proceeds to flocculate and finally forms sediment. In the course of this flocculation process, the silicic acid of the sol is quantitatively converted into insoluble silicic acid hydrogel. Zyme-O-F ɑ Amylase is a fermentation produced enzyme obtained from Asperillus oryzae and it can both dextrinize and saccharify starch. Meaning that it can be used for starch liquefaction and also saccharification to produce maltose and glucose. This enzyme is obtained by fermentation from a selected strain of Aspergillus niger and is a saccharification enzyme producing from hydrolyzed starch during the production of beer. Glucoamylase can catalyze the hydrolysis of starch. It decomposes alpha-1,4 heteroside from the non-reductive end of the starch molecule so as to form glucose. Glucoamylase can catalyze the hydrolysis of starch. It decomposes alpha-1,4 heteroside from the non-reductive end of the starch molecule so as to form glucose. Zyme-O-HS ɑ Amylase is a fermentation produced and thermostable liquefaction enzyme obtained by fermentation from specially selected classical strain of Bacillus licheniformis. This product possesses excellent heat resistance and adaptability under lower pH and calcium ion consistency. It is applied for liquidizing in the industry of starch sugar, alcohol and beer.